On Sunday 17th July, the four-star hotel is hosting a special event to showcase its first-rate facilities and stylish new look – including the contemporary new bar and lounge area, upgraded guest bedrooms and luxury spa and leisure amenities. Everyone is welcome to pop along to the open day – which will run between 11am and 3pm – and in celebration of Sketchley Grange’s refurbishment, visitors can look forward to exclusive offers for weddings, Christmas parties, spa breaks and gym memberships, along with discounts for both the restaurant and bar. Paul Noble, General Manager at Sketchley Grange Hotel & Spa, says: “We are really excited about the future for Sketchley Grange and we want the local community to come and see the improvements we’ve made. “The £1.5 million refurbishment was much needed and we’re really pleased with the outcome – the hotel now has a fresh and vibrant feel but it’s also a welcoming environment for people of all ages. Sketchley Grange Hotel & Spa is a well-established venue in the local area, having originally opened its doors more than 30 years ago. 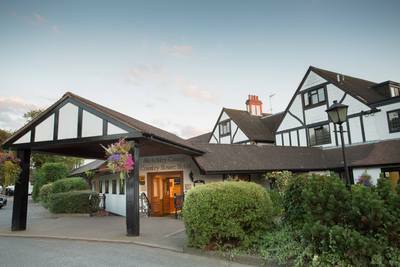 New owners purchased the hotel late last year and it is now operated by Focus Hotels, one of the UK’s most successful hotel management companies. The £1.5 million refurbishment programme has carefully ensured the hotel’s traditional character dovetails with the contemporary amenities. A new bar and lounge area opened in June and the hotel has opened its 100th guest bedroom as part of the refurbishment of its accommodation. The Romans Health Club also received a £47,000 investment to install state-of-the-art gym equipment. Nestled away in an enviable location on the borders of Leicestershire and Warwickshire, Sketchley Grange Hotel & Spa is a charming country house hotel boasting prestigious facilities and elegant accommodation. The open day will take place between 11am and 3pm on Sunday 17th July at Sketchley Grange Hotel & Spa, located off Sketchley Lane, Hinckley, Leicestershire, LE10 3HU. For more information visit sketchleygrangehotel.co.uk.